Chamomile is one of the longest and most widely used medicinal plants in the world. 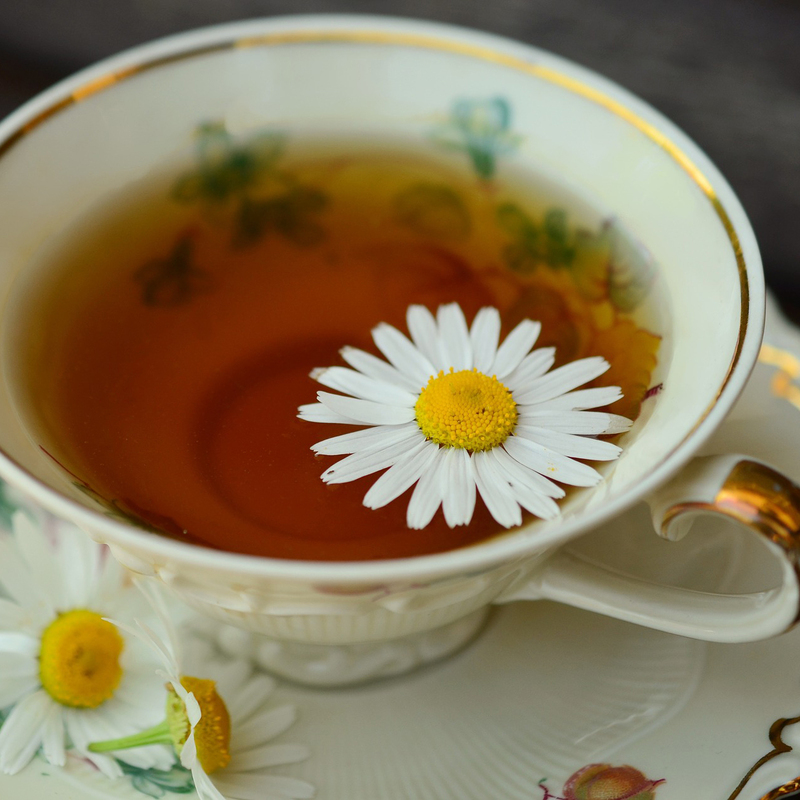 Chamomile tea counts among the top five herbal teas for antioxidant content. The chamomile flower has been shown to slow down prostate cancer, cervical cancer, fibrosarcoma, colon cancer, and breast cancer cells. Recent scientific evidence also supports the use of chamomile against inflammation, the common cold, heart disease, diarrhea, eczema, ulcers, hemorrhoids, mouth ulcers, osteoporosis, insomnia, anxiety, diabetes, sore throat, vaginitis, and wounds. Because chamomile is a powerful anti-inflammatory agent, pregnant women should not consume it, especially during the third trimester, because it may cause premature constriction of the fetal ductus arteriosus. Once the baby is born, this blood vessel closes. If it closes prematurely, an emergency C-section may be needed.